Over the last 15 years, our team's main goal was to become the market leader offering the best features, best compatibility, best performance, and best support possible. 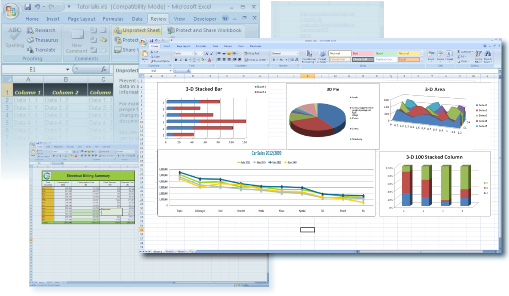 EasyXLS is the best third-party Excel library and makes working with the most detailed and feature rich excel files simple while providing the best performance when creating, computing and reading very large Excel files compatible with Excel 97 | Excel 2003 | Excel 2007 | Excel 2010 | Excel 2013 | Excel 2016 in the following file formats XLS, XLSX, XLSB, XLSM, XML, CSV, HTML and TXT. 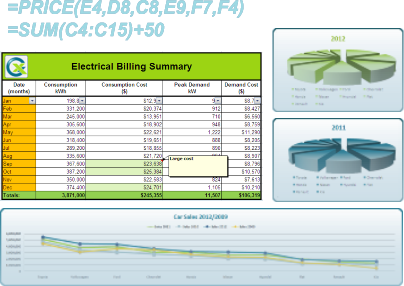 Displays an Excel file in a gridview. Set Excel document formatting on-the-fly and see the code. 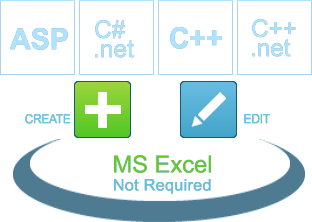 EasyXLS™ is the best programming Excel component on the market for .NET Excel file manipulation allowing the programmer to read Excel files, write Excel files and edit Excel files from VB.NET, C#, J#, C++, VB.NET and COM: ASP, C++, PHP, VB6, VBS, and PowerShell. 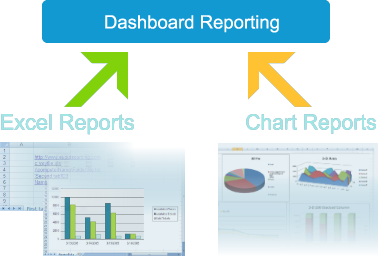 EasyXLS™ makes creating highly formatted Excel File Reports simple, with library routines to import data that supports a number of import mechanisms such as Datagrid to Excel, CSV import, XML import all without requiring Microsoft Excel to be installed and without using Excel Automation. ASP.NET export to Excel or VB.NET export to Excel never been easier and faster! Review the .NET Excel API page for more detailed information. We encourage every .NET Programmer looking for a .NET Excel Reader component or a .NET Excel writer component to try our free 30 day trial and see why EasyXLS is the best available Excel API on the market. 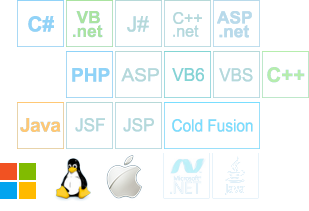 EasyXLS™ for Java provides all the same features as the .NET API and a few more. 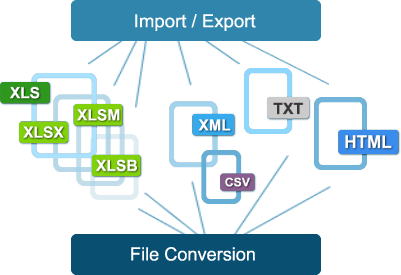 With amazing performance and functionality EasyXLS™ for Java has all the features needed to export data from Java to Excel as well as read and write data from or to Excel files using XLS, XLSX, XLSB, XLSM, XML, HTML, CSV file formats. 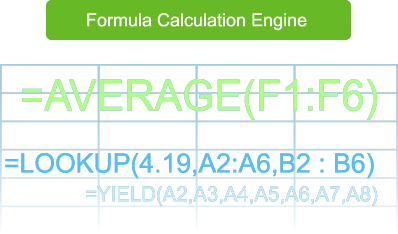 Review the Java Excel API page for more detailed information. JAVA programmers looking for a Java Excel reader library or Java Excel writer library can take advantage of our 30 day fully functional trial to discover that EasyXLS is the best JAVA Excel Library for them.